endota day spa in the Hunter Valley is known by locals and visitors alike as the place to go for the ultimate day spa experience. Offering supreme spa treatments in the most beautiful lush green countryside, with hidden vineyards and perfect sunshine, which our Hunter Valley is ultimately famous for. endota day spas Hunter Valley offers massage, pedicure, manicure and a divine facial, with delicious names such as Yogurt Cocoon and a River Salt Wrap. Relaxation immediately springs to mind and now they have introduced the perfect treatment for the region - Vinotherapy. Vinotherapy sounds like something that you would tell your partner after a night out with the girls. However Vinotherapie (French spelling) is actually a range of fabulous skin treatments, originating in the ultimate southern wine region of Bordeaux France in the 1990's. In 1995 Mathide Cathiard-Thomas and her husband (after finding out about the powerful antioxidant properties of grapes at the Pharmacy Faculty Unversity of Bordeaux), introduced grape seeds, skin and stems into their skin care range. Now Day Spas across Europe and America embrace the grape, offering Grapeseed Facials and Cabernet Crush Wraps as well as being used in popular skin care lines. The anti-oxidant qualities found in grape products are fabulous in fighting free radicals, and are believed to be more effective than vitamin E. Grape treatments are used to exfoliate, detoxify, cool inflammation, restore softness and repair damaged skin. endota day spa Hunter Valley - What is your favourite variety? *	Shiraz Bath Soak - you can only imagine, an absolute delight. 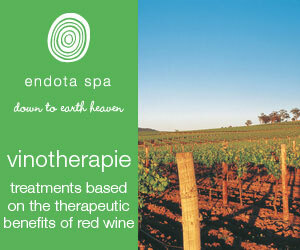 endota day spa is surrounded by wineries and uses the freshest grape products in their therapies from local vineyards. "We'll be using freshly crushed grapes from nearby vineyards and, when they're in season, we'll also use vine leaves to wrap the body" says Julie Molenaar, owner of endota 'day spa Hunter Valley'. The science behind Vinotherapy is fascinating, wine grapes are perfect for conditioning the skin as they are potent in antioxidants, particularly polyphenol and resveratol. Polyphenols are a type of flavonoid with impressive capabilities to protect the body from free radicals. 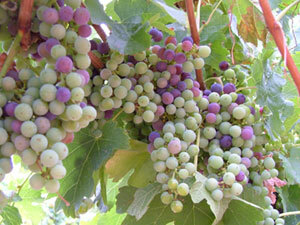 Resveratol has anti-fungal properties, great for skin rejuvenation and calming the skin. We have come a long way since the fermented milk baths of Cleopatra to the modern day Champagne bath and a grape seed facial. endota day spa Hunter Valley offers the premium day spa experience in the region. a relaxing massage rich in vine extracts and softly scented withour unique wine essence. when is season the use of vine leaves topurify and detox the skin, heated and laid all over the body, leavingthe skin and mind purified. our vinotherapy wrap and scrub, deeply detoxifies and leavesthe skin feeling silky smooth. a combination of vine extractsprovides maximum anti-oxidant value and the moisturizing effectis enhanced by the pleasant aroma of wine essence. add a 30minute anti aging facial to complete the experience. when inseason the use of fresh grapes and vine leaves, heated and laid allover the body. an anti aging facial, using all the benefits from the grape, cleansing,exfoliating, detoxifying and moisturising. we have created a completely natural vinotherapie productcombining vine extracts with a rich blend of minerals derived fromall parts of the grape and the land. australian organic red clay, aclay rich in iron and essential minerals.